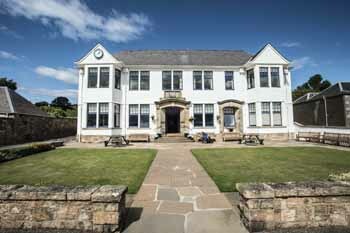 The clubhouse of Gullane Golf Club. 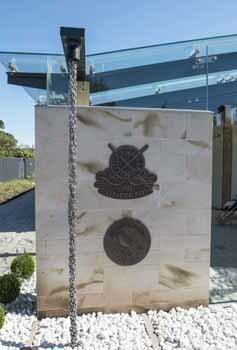 Picture by Christian Cooksey/CookseyPix.com on behalf of Esh Border Construction and Beattie Communications Limited. Continual investment on and off the course is a common theme among world-class golf resorts and the work carried out at the famous Scottish links at Gullane provides a prime example. The top rated three-course club has looked for ways to improve its facilities over its long history, not least as its tradition of being an affordable members’ club has required it to maintain a healthy income from visitors. With plenty of top quality clubs vying for custom along the East Lothian coastline, the challenge is not for the faint-hearted, yet Gullane’s prestige and appeal has been maintained due to forward thinking management. In recent years the club has positioned itself on the rota as a host to the Aberdeen Asset Management Scottish Open, with the event being held there in 2015 and again this year, when it also staged the Ladies’ Scottish Open sponsored by the same group. It is this philosophy that has led to some significant improvements in recent years. 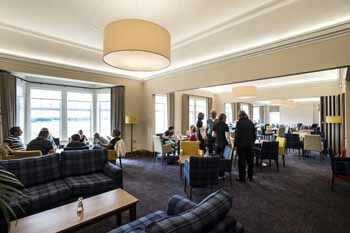 The club’s continued commitment to providing members and visitors with a world-class experience was in evidence in 2015 when a £1.8 million redevelopment of its ‘Members’ Clubhouse’ was completed to provide modern day facilities complementing its rich heritage, stretching back over 130 years. Further improvements both on and off the course are in the pipeline with a planned refurbishment of its currently-named ‘Visitors’ Clubhouse’ on the drawing board. 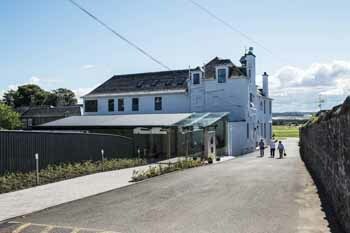 The comprehensive 18-month refurbishment of the iconic Members’ Clubhouse was in time for the 2015 Scottish Open, and was well received by some of the world’s greatest players. 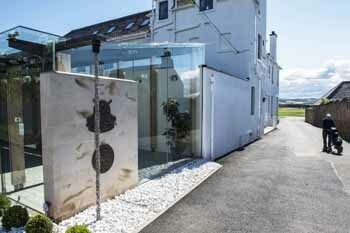 The architect’s brief was to provide a scheme to upgrade the interior whilst retaining the classical frontage that has been a cherished landmark on Gullane’s skyline for almost a century. 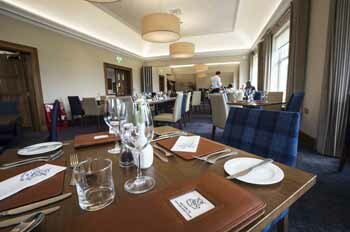 Award-winning Edinburgh design firm Susan Stephen Architects drew up plans to completely redesign the first floor, incorporating the main dining facilities maximising the views across Gullane’s famous links courses. An enlarged kitchen, disabled access and facilities were included within the build, and the bar relocated from the ground floor. 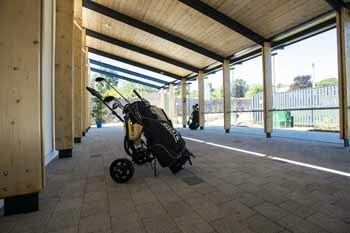 To the rear, a new contemporary glazed golfers’ entrance was constructed, giving access to the men’s and women’s locker rooms, a bag drop lobby, drying room and trolley charging store. 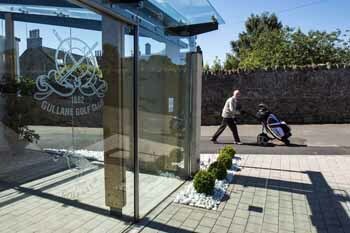 David Morgan, said: “We wanted to retain the exterior of the clubhouse while revitalising the interior to accommodate a busy, modern club with all of its demands. I am pleased to say this was achieved. 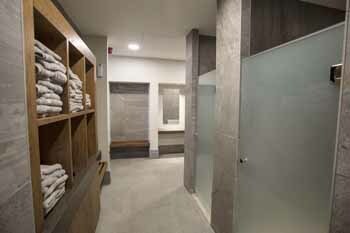 The refurbishment and enlargement of the changing rooms was carried out by industry leader, Ridgeway Furniture. Work included the addition of some new lockers and wardrobes, and repair of the existing lockers. 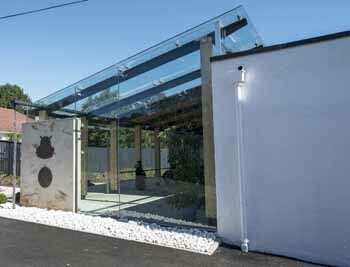 This year the Gullane club has turned it attention with further improvements. One priority is the proposed refurbishment of the Visitors’ Clubhouse for many playing No. 2 or No. 3 courses and to make it a more inviting place for visitors. It is seen as an important yet underused asset and plans are being made for an extensive refurbishment to provide a modern space, attractive to all members, especially younger members and their families, and the junior members. It will be renamed to reflect its new role. The courses at Gullane are legendary, enjoying the beautiful surroundings and views shared by Muirfield and North Berwick and the many other clubs on the East Lothian coastline. Gullane No. 1 is the oldest course by 14 years. Established in 1884, it is renowned for its well-maintained greens, links grasses and extensive bunkering. No. 2 was laid out by Willie Park Jr in 1898 and is noted for its series of testing short holes that demand guile and skill. 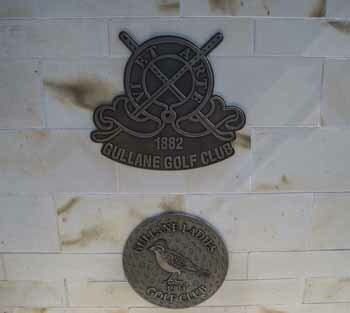 The Gullane trio was completed in 1910 when Willie Park Jr set out Gullane No. 3 with the objective of creating a test for even the most experienced golfer with a special emphasis on shot making. I enjoyed the visit to Gullane at the end of October. Their club membership seems to be thriving. 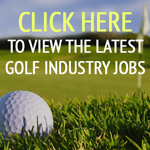 The choice of three courses will appeal to different segments of golfers. And it is worth the visit to the museum beside the club to have a look at the old hickories and historical pictures. History surrounds the place. Thank you for sharing.